Not long ago, Alberta, had country grain elevators named for the indigenous bison that roamed the plains before grain was grown. The innovative Buffalo, as they were called, were designed in Alberta, and constructed in both Alberta and Brazil. In the late 1970s times were good for Alberta’s farmers and their grain Company—the Alberta Wheat Pool. Bumper crops and high grain prices kept the grain elevators humming. As fires destroyed many wood elevators, and the railways were pushing for ever more streamlined grain handling, the Pool decided to use some of its profits to experiment with concrete country elevator designs. It began working with Buffalo Engineering of Edmonton, headed by Klaus U. Drieger. This resulted in a partnership company ABL Engineering Ltd. to produce a design for an elevator that was radically different, and formed a second company, Buffalo Beton Ltd. of Calgary to construct them. The first design was the trapezoidal Buffalo 1000, colloquially named the Buffalo Slope. In a complete departure from traditional wood-crib elevator design, this elevator was built up using 42 square pre-cast concrete modules, stacked like cord wood at a thirty degrees angle from the ground. The elevator could hold 206,000 bushels. The first was built at Magrath in 1979 and opened with huge fanfare—the festivities included a community band and farmer tours of the facility. Two more Buffalo Slopes were erected in 1981, at Vegreville and Fort Saskatchewan. The Buffalo Slope design worked well with some grains, but the 30 degrees slope was inadequate for barley and oats to slide out the bottom of the module and the complicated conveyor systems were high maintenance. Faced with less than stellar reviews, ABL Engineering went back to the drawing board. The second design, the Buffalo 2000, was also constructed with precast panels in conjunction with poured-in-place concrete, although it had a more conventional shape. The elevator has vertical bins with hopped bottoms, fashioned with precast bin floors and cast-in-place concrete bin walls. The Buffalo 2000 holds about 190,000 bushels in thirty bins. 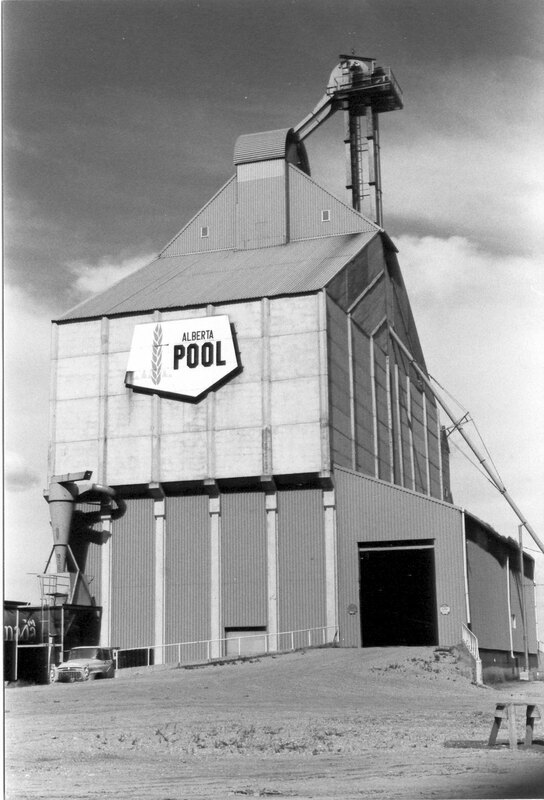 The Alberta Wheat Pool built two of these, at Lyalta in 1982 and at Foremost in 1983. These fireproof elevators worked well, but were expensive. The Pool built nine cheaper wood-cribbed double-composite elevators next, the last one at Dapp in 1985. Then in 1986 a final Buffalo 2000 was built at Boyle, a year before the Buffalo consortium folded. Ironically, the futuristic Buffalo designs were obsolete soon after they were built as the era of the country elevator was over. After 1995 all the grain companies built slip-form concrete silo elevators. 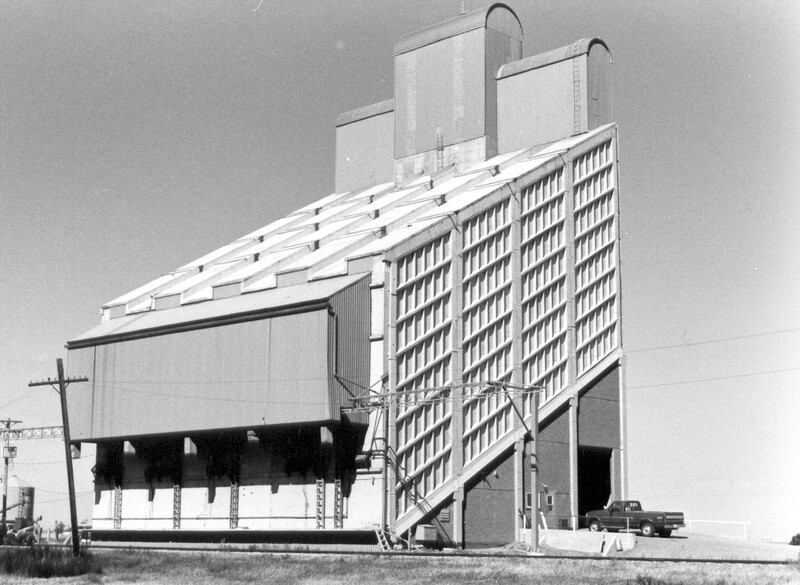 These were high capacity high-throughput regional terminal elevators designed to collect grain from hundreds of kilometers around. They were located on spur lines able to handle 52 or 104 car trains. The buffalo, built on railway sidings without sufficient space to load many cars, were too slow for high throughput: a Buffalo could load a grain car in thirty minutes while the new terminal elevators could load one in six to seven minutes. 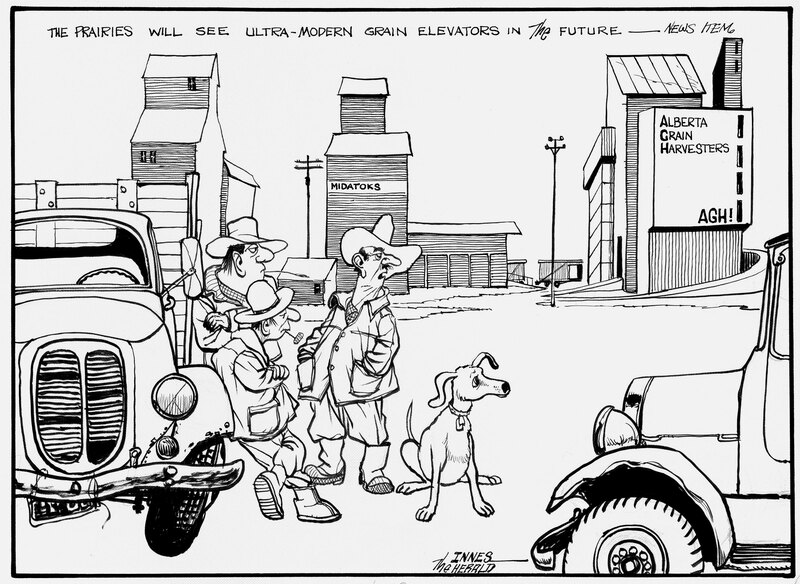 The days of the country elevator were numbered, whether wood-crib or concrete Buffalos. As the wood-crib elevators, even new ones, were demolished, the concrete Buffalo, despite not being used by the grain companies, proved to be survivors as they passed to individual farmer groups. The Canada Malting Company buys and stores malt barley in the Buffalo 2000 at Lyalta. Two were recently demolished: the Buffalo slope at Vegreville and the Buffalo 2000 at Boyle. The Buffalo design also survives in Brazil. The Buffalo engineering team designed the huge Buffalo 4000 that was constructed from precast concrete modules to build up bins in a double V pattern. Several of these inland terminals with a capacity ranging from 25,000 tonnes (957, 500 bushels) to 100,000 tonnes (3,750,000 bushels) were constructed in Brazil during the early 1980s. A 25,000 facility was located in Brasilia and another in Campo Grande, Mato Grosso del Sul in central-west Brazil. In the state of Minas Gervais in the west part of the country, where wheat and soy beans are among the main crops, a massive 100,000 tonne Buffalo 4000 was constructed at Uberlandia. The Buffalos of Brazil, where sixty-percent of grain is moved by truck, remain an international monument to Alberta engineering innovation. The August long weekend is fast approaching. Before we know it Heritage Day – Monday, August 4 – will be upon us. If you are wondering what to do with your day off, why not consider a heritage-themed outing? This is the perfect time of year to explore Alberta’s rural historic resources. The cover of the Victoria Trail Historical Walking and Driving Tours booklet. If you are in the Edmonton area, an ideal destination for a heritage day trip is the Victoria Settlement Provincial Historic Site, located one hour and forty minutes northeast of the city. It is a perfect location for a picnic, and there’s plenty to see there. Before you head out of town, make sure you download or print out the Victoria Trail Historical Walking and Driving Tours booklet that is available on the Alberta Culture website. It contains information about the buildings at the settlement, and, once you’ve finished exploring the historic site, you can follow the tour back towards Edmonton along the historic Victoria Trail. There are two Provincial Historic Resources at the Victoria Settlement Historic Site: Fort Victoria, a Hudson’s Bay Company building dating from the 1860s, and the 1882 Free Trader’s Cabin on River Lot #3. In addition, you can see the Reverend McDougall Graves, where four of the missionary’s family members – victims of an epidemic of smallpox in the 1870s – are buried. A 1906 Methodist Church on the site recalls the important role of the church in the settlement of the area. The Victoria Trail is a scenic drive that winds along the bank of the North Saskatchewan River. Unlike many other historic routes, it has remained largely undeveloped and evocative of days gone by. As you traverse the Victoria Trail, it is easy to imagine yourself in the company of those who came before. 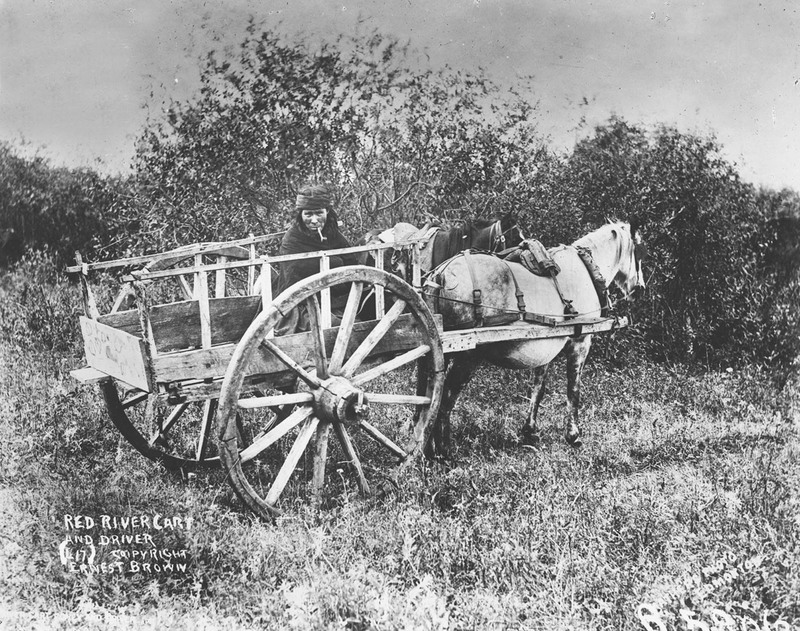 After 1860, convoys of Red River carts carrying supplies to Edmonton wore ruts into the sod. In 1874, the first North-West Mounted Police contingent famously trekked west along the trail. After the turn of the century, traffic flowed the other way, with Ukrainian settlers coming east from Edmonton to settle on the land. Until the coming of the railway in 1918, the Victoria Trail remained the most important overland route linking Edmonton the Victoria Settlement. This Heritage Day, treat yourself to a journey back in time, along the Victoria Trail. The Historic Resources Management Branch of Alberta Culture is pleased to announce the launch of the Alberta Energy Resources Heritage website. 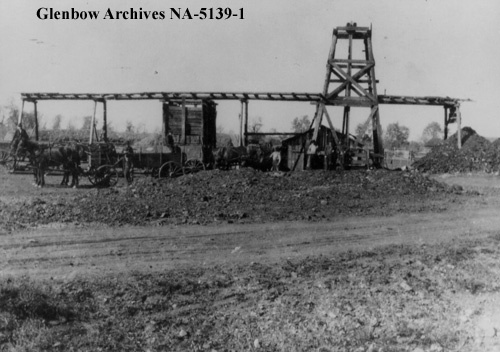 The site was developed with the aim of promoting an understanding and appreciation of the Province’s abundant energy resources, the rich history of resource extraction and production, and the important role that this sector has played and continues to play in Alberta’s social, political and economic history. 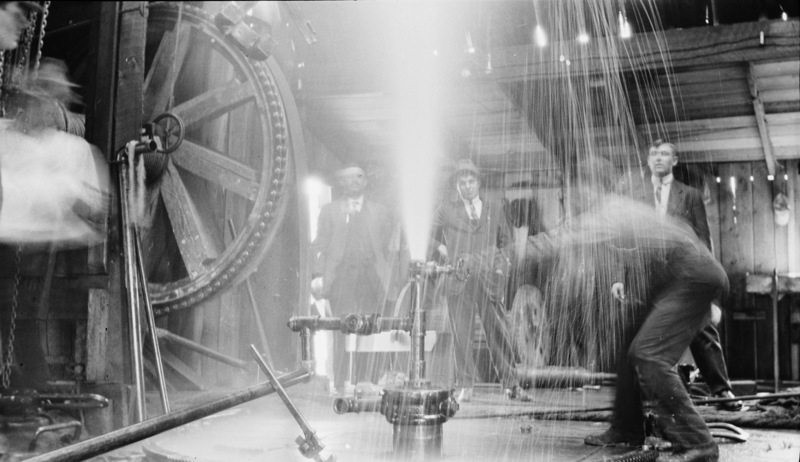 Turner Valley Discovery Well Blowing, 1914. Five areas of Alberta’s resource development are explored in detail: coal, conventional oil, natural gas, electricity and alternative energy and the oil sands. Also profiled is Bitumount, north of Fort McMurray where the earliest scientific research on industrial oil sands extraction took place. This pioneering work would later transform Alberta into a major player in the global energy market. The website is intended to be informative and comprehensive, offering insights into the geological formation of resources, the ancient uses of various energy resources and exploration and industrialization within Alberta. Energy resources are examined through over 300 thematic entries, covered in more than 600 pages of text. Hundreds of archival images, charts, maps, and documents as well as dozens of videos augment the text as do extensive technical glossaries and lists of documentary sources. 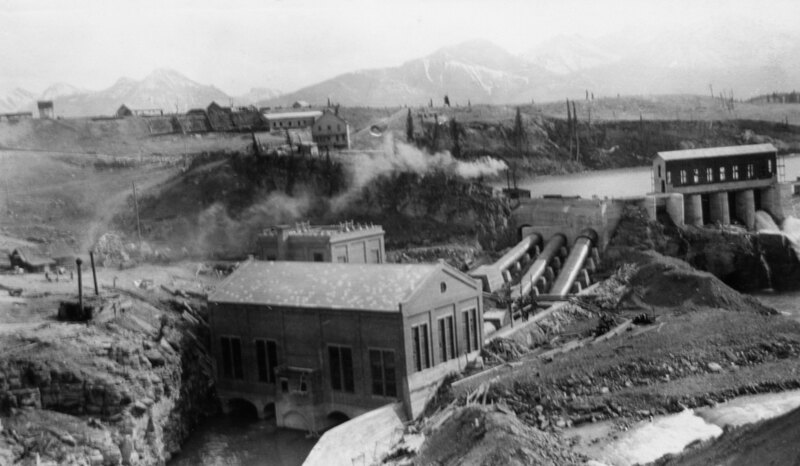 In addition to exploring the earliest and evolving histories of these sectors the site offers special insights into Alberta’s social history ranging from the miners of the Crowsnest Pass through to the rough necks of the Oil Patch, to pioneering proponents of alternative solutions for the province’s ongoing energy requirements. Educators, students and the general public are invited to visit the website and explore its various components. Written by: Peter Melnycky, Historian. 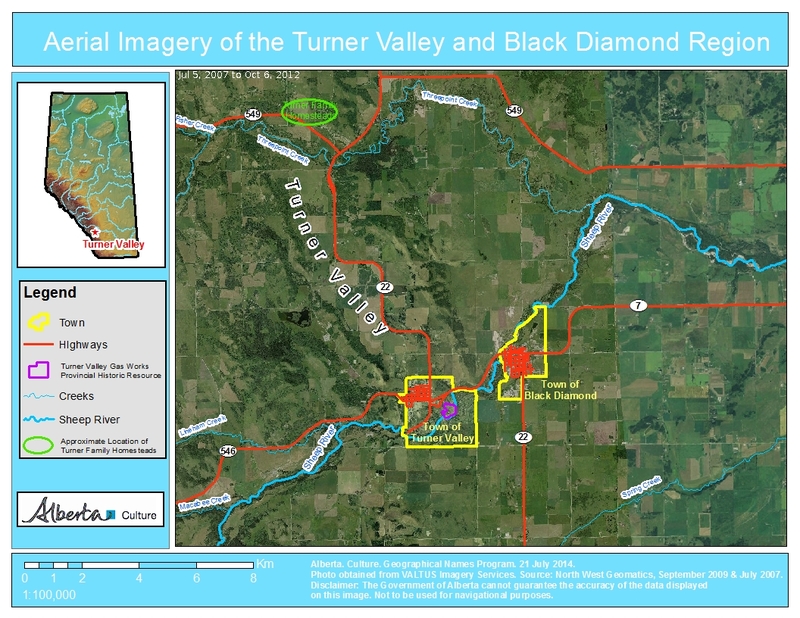 May 14, 2014 was the one-hundredth anniversary of the discovery of oil and gas at Turner Valley. In recognition of this milestone, we are offering a short series highlighting some of the place names associated with the oil and gas heritage of the Turner Valley area. In 1886, two brothers from Scotland, Robert and James Turner, filed for homestead on neighbouring quarter sections (the S.E. and S.W. quarters of Section 10, Township 21, Range 3, West of the Fifth Meridian) at the northern end of a large valley near the north fork of “Sheep Creek.” (To add a heaping helping of confusion to this story, what was then called Sheep Creek is now the Sheep River and its north fork, or tributary, is now named Threepoint Creek. Isn’t naming fun!) The Turner brothers, soon joined by a cousin, John Turner, acquired more land for their ranch and became noted breeders of purebred Clydesdale horses. Due to the early arrival and prominence of the Turner family, the valley containing their original homesteads soon became known as Turner Valley. At the time, responsibility for naming geographical features lay with the federal government and the name Turner Valley was adopted by the Geographic Board of Canada as the valley’s official name in December 1943, although it was being used on government maps since at least 1926. 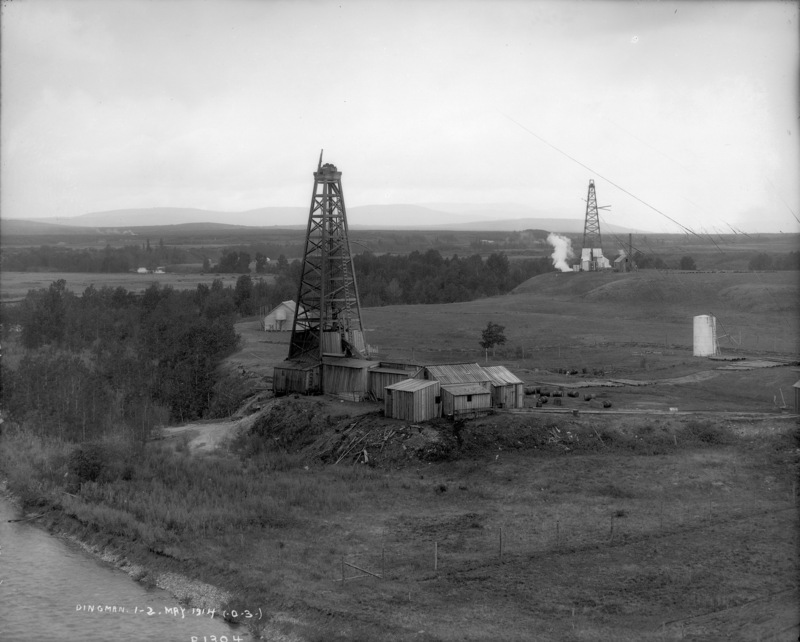 On May 14, 1914, towards the other end of the valley, an oil well known as Dingman No. 1, owned by Calgary Petroleum Products struck gas. Although DIngman No. 1 was not the first productive well in Alberta—that distinction goes to a well in Waterton Lakes National Park (See Cameron Creek) it was our province’s the first significant discovery. Over the ensuing decades the name Turner Valley became one of the best known locales in the province and the name became synonymous with Alberta’s oil and gas sector. A town site, also named Turner Valley was established. A post office opened here in 1926 and, in 1930, with a population of about 700 people, Turner Valley was incorporated as a village. It became a town in 1977. Just to the east of the Town of Turner Valley, is the Town of Black Diamond. The name is inspired by the coal deposits found in the area. A coal mine opened in 1899 and a small community serving the mine and the area’s ranchers and homesteaders began to develop. According to local lore, in 1907, when it came time to choose a name for the newly established post office, two contenders arose: “Arnoldville” was championed by the Arnold brothers who owned the general store that would house the post office, and “Black Diamond” was put forward by Addison McPherson, the owner and operator of the Black Diamond Coal Mine a short distance to the southwest. Allegedly, both were written on scraps of paper and put into a hat. You can guess which name was drawn. Following the Dingman No. 1 discovery, Black Diamond boomed, reaching a reported population of 800 by 1930. A local history tells of round-the-clock construction and single lots containing up to seven homes. Black Diamond became a village in 1929. It suffered during the Great Depression, loosing up to a quarter of its official population before rebounding in 1937 following a major oil discovery in 1936. 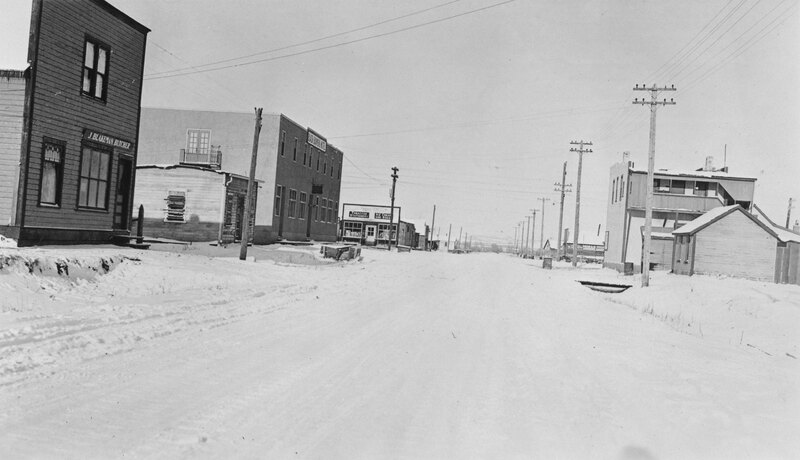 Black Diamond was the largest population centre in the immediate area, reaching a population of 1,380 in 1947 before falling again through the late-1940s and 1950s. Regardless, in 1956, with a population of 991, Black Diamond was incorporated as a town. To be continued … More Turner Valley oil and gas names to come! There is a peculiar overgrown mound in a farmer’s field in Kneehill County, near the town of Three Hills. A weathered wooden door hung within a stone-frame sits against the embankment. The door opens onto a sandstone staircase leading downward into a vaulted, stone chamber. Welcome to the Sunnyslope Sandstone Shelter—what must be Alberta’s strangest starter home. We know that the builder must have been a skilled stonemason, but unfortunately we know little else about the craftsman or how the shelter was built. The one-of-a-kind shelter was designated a Provincial Historic Resource in January of 2011. 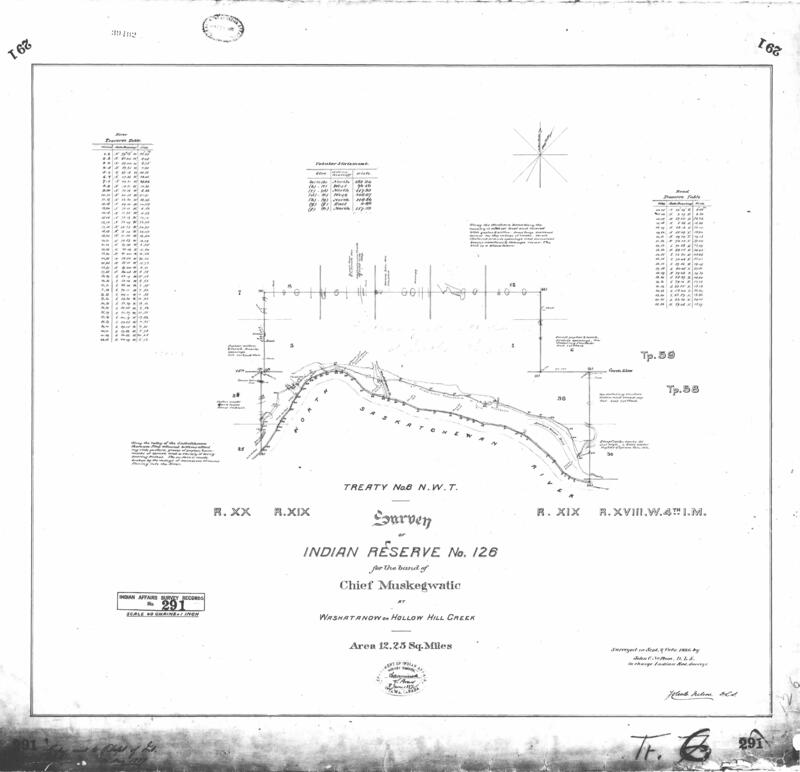 This post will look at some of the theories we have developed in trying to solve the mystery of the origins of the Sunnyslope Sandstone Shelter and its current condition. The Sunnyslope Sandstone Shelter is significant for how sandstone was used to build its walls, ceiling and archway door. We estimate the shelter to have been built between 1900 and 1905. This makes the structure distinct when compared with other early homes that would have been built in Alberta around the same time. A few theories have emerged over the years. Initial investigation of homestead records and local stories led many to believe that a George Schech built the shelter. 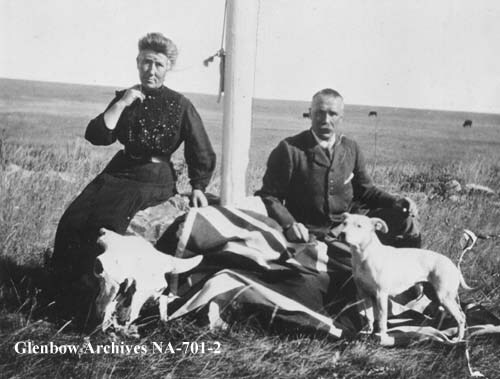 Schech was reputedly a German immigrant and stonemason who came to Alberta in 1903 or 1904 after living in Wisconsin, Montana or Washington for a time. He apparently lived in the shelter while a frame house was being built on the same quarter section of land. Afterwards, it became a root cellar. Little else is known about Schech, as he apparently abandoned the farm and returned to the United States after only a few years of living on the homestead. 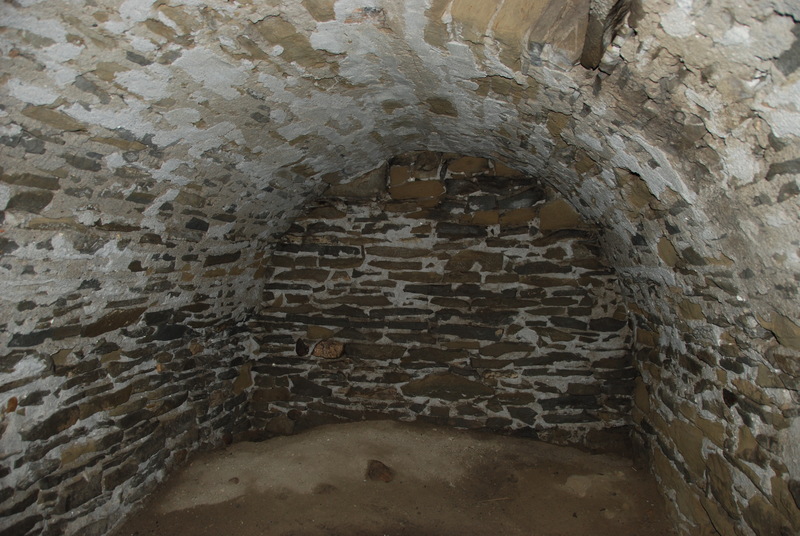 The chamber with barrel-vaulted roof made from mortared sandstone (Alberta Culture, Historic Resources Management Branch, 2011). Another plausible theory emerged from our research and later on from additional oral history in the Three Hills area. The other theory is that the shelter was built in 1902 by a Mr. Stein who, like Schech, was also a stonemason from Germany. However, there is no existing record of a Stein homesteading in the area. There is evidence that Erick C. Stendahl or Erich Steendahl settled on the land that contains the Sunnyslope Shelter. It may be that “Stein” is an adaptation of Stendhal. However, Canadian census records state that Stendahl was originally from Norway, not Germany, and lists 1905 as his year of immigration to Canada. Additionally, a Declaration of Abandonment issued by the Dominion Lands Office for this quarter section was signed by Erich C. Steendahl in 1903. George Schech applied for a homestead on this land shortly thereafter. This further complicates the issue by not having definitive evidence to reference and verify. The information that has been compiled for both Schech and Stein or Stendahl is based on correspondence with residents from the area, census and homestead records. 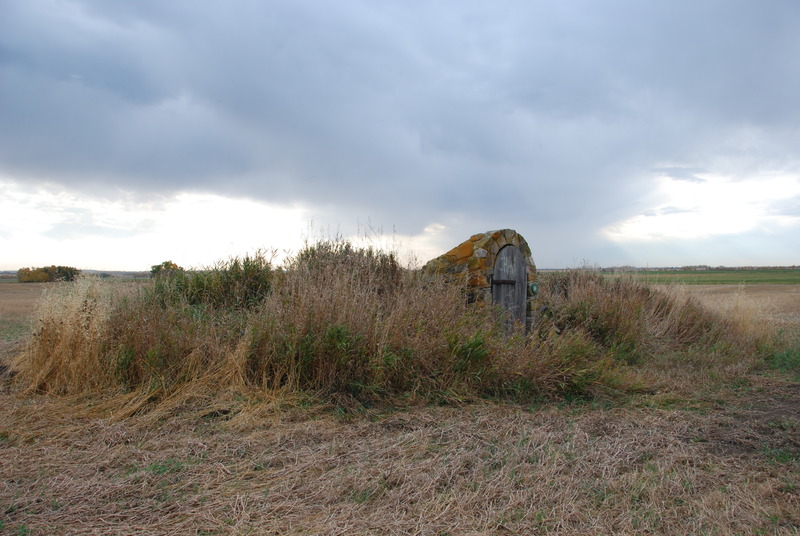 Homesteaders who came to Alberta would construct a small temporary shelter, such as a tent, dugout or shack, before building a larger and more modern house. In that respect, Sunnyslope is no different. 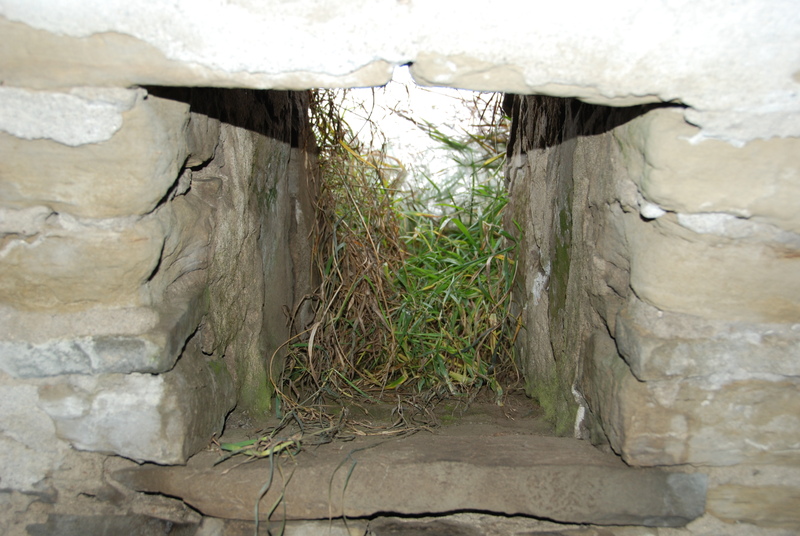 Early dugout houses in Alberta were shallow pits, often built into an embankment, with roofs made from poles, mud plaster and sod. Sod houses were usually the first “permanent” home built by a homesteader during the end of the nineteenth and early twentieth century in areas without trees. Later on, a more solid structure, usually a wooden, frame house, was constructed for permanent habitation. A variety of building techniques were used throughout Alberta during this period, but stone construction is unique and Sunnyslope has load-bearing sandstone walls and a vaulted, sandstone ceiling. This design is more fitting to the Great Plains of the United States, where dugouts were used as storm shelters. Stone became a popular option in areas of the American West and Midwest because there were fewer trees, and stone better shielded the little room inside from extreme weather, such as tornadoes. Structures like this were also used as temporary homes and storage cellars for supplies, fruit and vegetables. Small opening in the chamber, for light and ventilation (Alberta Culture, Historic Resources Management Branch, 2011). 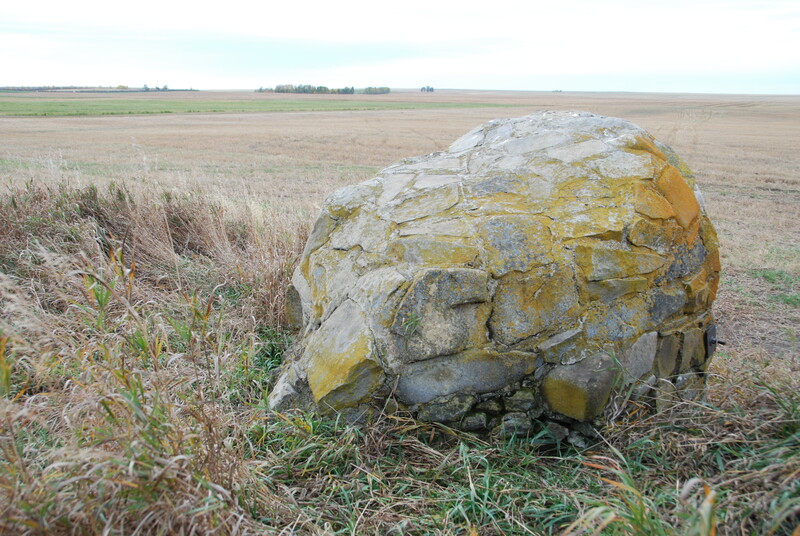 Stonemasonry was much less common for simple buildings in Alberta, which makes the architecture of the shelter unique, but raises the question: why sandstone? A possible explanation is that the builder was influenced by the techniques used by homesteaders on the Great Plains of the United States, after residing there for some time. Since it appears that the builder of Sunnyslope was a stonemason, it is likely that he would have used the skills he was most familiar with to construct a first home. The Sunnyslope Sandstone Shelter is stable and the interior has remained intact for more than a century—all of which is a testament to the skill of the builder. The stone archway itself was rebuilt in 1978, when a new wooden door was also added. The use of mortared sandstone and distinct stone stairway remain the most significant elements of the structure. The site shows the innovations that were made by early homesteaders and their need for a quickly constructed living shelter, while revealing the realities of a temporary habitat for early settlers to the area. The mystery of the site’s origins highlight Alberta’s exciting heritage and show the fascinating stories that have contributed to our history. While there are conflicting reports over who was responsible for the shelter’s construction, this tale shows the fun of reconstructing a 100 year old story. There is evidence to suggest that Schech or Stendahl (Stein?) could have built the shelter, but how can we know for sure? The entrance viewed from the back; the mortared sandstone is clearly visible (Alberta Culture, Historic Resources Management Branch, 2011). Can you help us solve this whodunit? We invite all you history sleuths to leave your comments and perhaps help us piece together the puzzle. Any information, tips or stories can assist with creating a clearer picture of the past. For additional details on the Sunnyslope Sandstone Shelter, refer to the Alberta Register of Historic Places. Homes in Alberta: Building, Trends, and Design 1870-1967, by Donald Wetherell and Irene Kmet provides more information on early homestead construction in the province. “1906 Canada Census of Manitoba, Saskatchewan, and Alberta.” RG31, Statistics Canada. Library and Archives Canada. (Accessed July 8, 2014). “1916 Canada Census of Manitoba, Saskatchewan, and Alberta.” R233-47-9-E. Library and Archives Canada. (Accessed July 8, 2014). Designation file #Des. 312, in the custody of the Historic Resources Management Branch. “Sunnyslope Sandstone Shelter.” Alberta Register of Historic Places. HeRMIS. (Accessed July 8, 2014). Wetherell, Donald G., and Irene R. Kmet. Homes in Alberta: Building, Trends, and Design 1870-1967. Edmonton, Alberta: University of Alberta Press, 1991. Registration for the 2014 Municipal Heritage Forum is now open and we have two fantastic keynote speakers who will present their work as it relates to our theme: New Ideas for Historic Places: Conservation through Technology and Innovation. Kayla Jonas Galvin is deeply involved in creating social media content. She tweets at @jonaskayla and has her own blog Adventures in Heritage. Kayla works as the Heritage Operations Manager at Archaeological Research Associates where she runs the Twitter (@araheritage), Pintrest (ARAHeritage) and LinkedIn Accounts. She sits on the board of the Architectural Conservancy of Ontario, which focus on heritage education and advocacy in Ontario. There she is the social media manager for their Facebook and Twitter (@arconserve) accounts and Editor of their ACORN magazine. Her previous employment at the Heritage Resources Centre at the University of Waterloo involved managing their social media and communication, as well as developing Building Stories, a crowd-sourced survey of historic places across Canada. 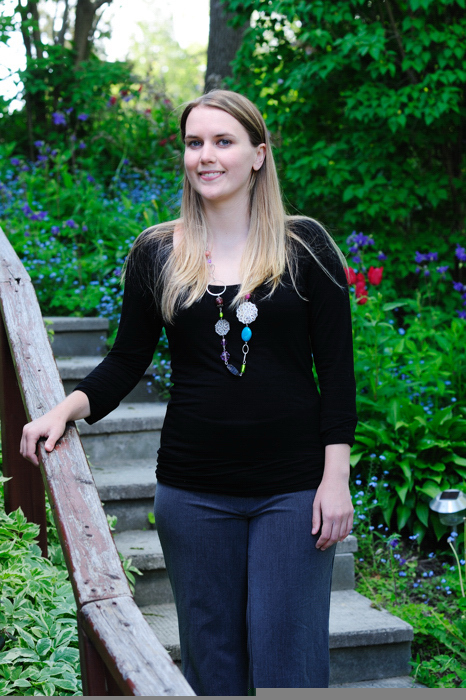 Kayla will be speaking about how social media can assist in the conservation of local historic sites. Kayla will explain the power of social media to conserve local heritage places and how you can tap into it. She will give a brief introduction to the social media sites of Facebook and Twitter as well as introduce Building Stories, a crowd-sourcing site. Drawing on her experience managing multiple platforms for businesses and not-for- profit organizations she will share practical lessons on how to use each effectively to engage your community. Larry Laliberté is a librarian with over ten years’ experience working with GIS and spatial data. 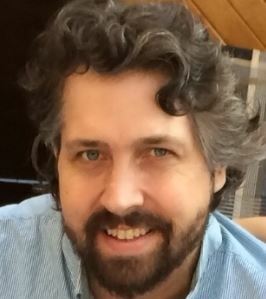 Currently he is the GIS Librarian at the University of Alberta where much of his work revolves around analyzing and synthesizing spatial information at many scales, across many disciplines, in various formats. Over the last decade, he has developed and maintained an online collection of historical maps of Manitoba and recently, taken a great interest in developing best practices for the long term preservation of digital geospatial data. Larry’s presentation will focus on how Historical GIS can be used to link collections. Over the past ten years, many historical library collections have been digitized (textual, numerical, photos, maps) and made available online; however, they often exist on standalone platforms isolated from other digital collections. Using the 1913/14 Fire Insurance Plans of Edmonton as an example, Larry’s presentation will highlight how thinking spatially about local digital collections and combining the power of GIS and geovisualization can open up interesting ways of linking collections. Please join us October 16th and 17th in Lacombe to hear these heritage advocates share their knowledge. 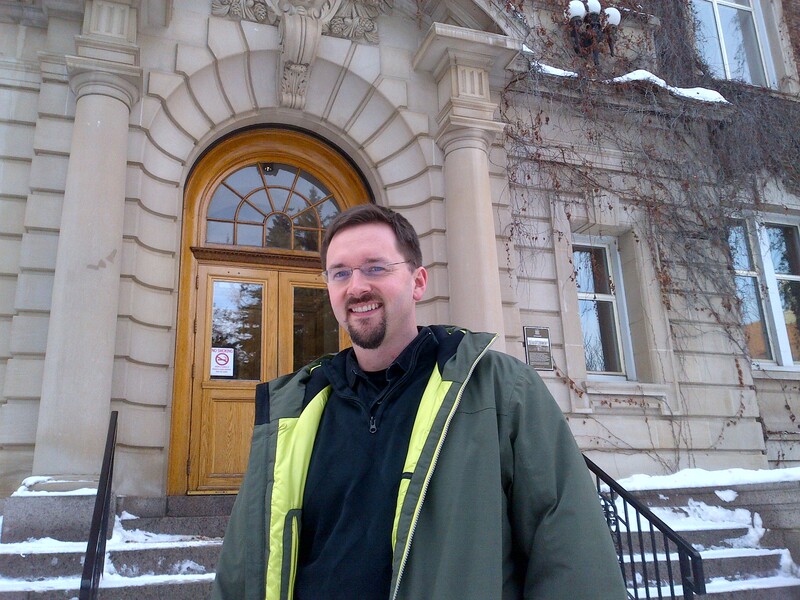 Matthew Francis, Manager of Municipal Heritage Services, describes his role this way: “I manage all of the Government of Alberta’s work with municipalities to protect their historic places.” One focus of his job is running the Alberta Main Street Program. The other is leading the Municipal Heritage Partnership Program (MHPP). Both are done with the help of two Municipal Heritage Services Officers. MHPP staff members lead workshops for local government staff, volunteers, and sometimes elected officials as well, to train them in how to protect locally significant historic places by using recognized tools. The main identification tools are surveys: research projects that gather basic historical and architectural information on possible historic resources. Conducting a survey can be a first step toward developing a comprehensive heritage conservation program. MHPP also offers workshops on heritage inventories: projects that helps a community identify places of outstanding local significance and develop a deep understanding of each place that will help the municipality determine how to protect and conserve it. The Alberta Historical Resources Foundation offers matching grants to municipalities in Alberta that are undertaking surveys or heritage inventories or that are developing heritage management plans. MHPP staff often help municipalities craft viable survey or inventory projects that are likely to be funded by the Foundation. The MHPP also helps to evaluate grant applications, making funding recommendations to the Foundation’s Board of Directors. Ideally, each municipality will first establish what the MHPP calls a Heritage Advisory Board (HAB), although it may have a different name locally. If the local government decides to seriously pursue the conservation of its historic resources, MHPP staff will meet with the board and others to explain that process and make sure they understand the three key aspects of evaluation: eligibility, significance, and integrity. Heritage consultants—historians, planners, or others with a conservation-related background—typically do the survey or inventory work under the direction of the advisory board. As a central part of this work, the consultant will produce a document called a Statement of Significance for each historic place, which describes why the community values the place and what about it needs protection to preserve its significance. The HAB must be able to assess the quality of each Statement of Significance, making sure that each document accurately describes the significance and integrity of the historic resource(s) discussed. The HAB will make a recommendation on designation to the municipal council. “Our place is not to intervene in [designation decisions],” Matthew says. “Municipalities in Alberta can designate whatever they want. They’re empowered to do that. It’s the community that has the local knowledge, and that’s what we’re trying to draw out.” But, ideally, the local government will learn how to make good decisions about heritage designation—decisions that are consistent across the community and also consistent with the best practices that are in use throughout Alberta. Municipalities may also establish their own regulations for the protection of their designated historic places. The annual Municipal Heritage Forum, a project of Municipal Heritage Services, supports these efforts. “Before 2007 people doing heritage conservation locally in different communities had very little connection with each other,” Matthew recalls. The first forum in 2007, called a Summit for Stakeholders, had about 40 participants. “It was basically just bringing the people together and giving them some information,” Matthew says. “But [we saw that] it’s the sharing of information [that’s important]. It’s really great to see the local knowledge increase and for that information to be shared peer-to-peer.” The forum now attracts about 125 attendees each year, and has become an eagerly anticipated event for heritage professionals and advocates across Alberta.